And you woke me up, because…? Because I couldn’t resist, beautiful cat. 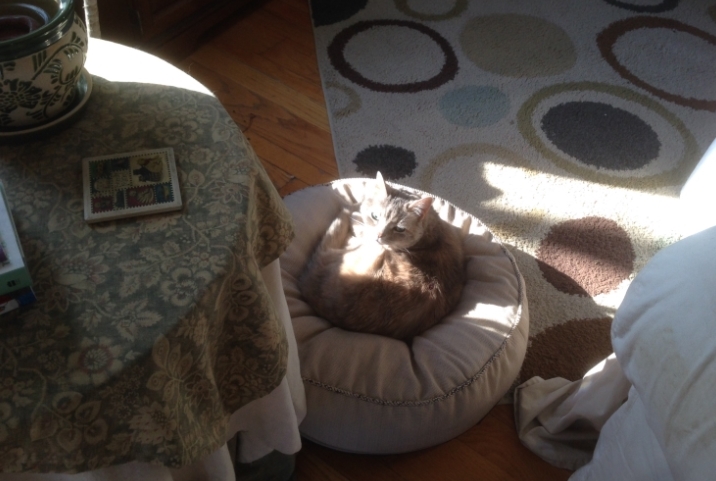 This entry was posted in Blog Update and tagged Athena, cat, cats, sunshine. Bookmark the permalink. :) Athena, who was originally my husband’s cat, is the sweetest cat I’ve ever known. Because of this, I’ve since laid claim to her…j/k (Eric would definitely put the kibosh on that).